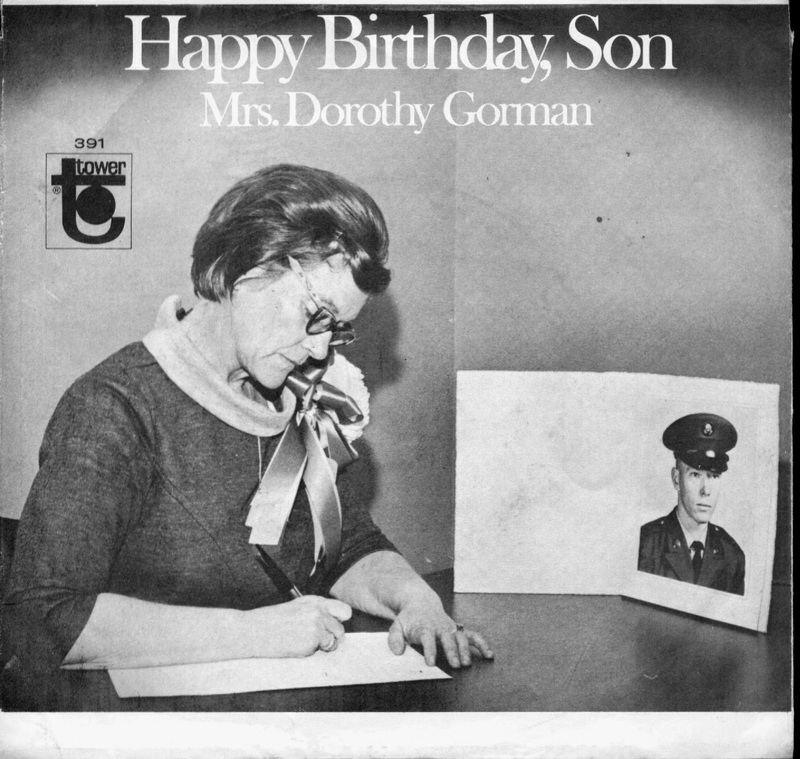 In the mid to late 60's Mrs. Dorothy Gorman recorded a birthday wish to her son serving in Vietnam for his 21st birthday. Tower Records produced this record for an "audience of one." Her husband served in the 85th Division during WW II beginning in 1942. Her son's birthday is December 18th sometime after 1942. She also has a daughter named Evelyn. Through our research, thankfully, there is no Gorman with a December 18th birthday listed on The Wall. If anyone has information about Mrs. Gorman or her son or daughter, please contact me at battle.notes@yahoo.com.